April 28 @ 9:15 & 10:30 a.m.
May 5 @ 9:15 & 10:30 a.m.
Our 9:15 a.m. service is a discussion. Or join us for the 10:30 a.m. multigenerational Music Sunday service! May 12 @ 9:15 & 10:30 a.m. In this intergenerational Mother’s Day service we will celebrate the gift of generativity or, “a concern for establishing and guiding the next generation,” which will include a ceremony to mark the passage of some of our teens into adulthood. 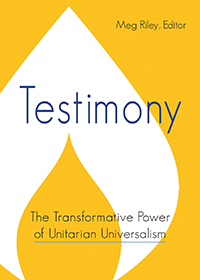 May 19 @ 9:15 & 10:30 a.m.
Our 6th UU principle is; “The goal of world community with peace, liberty, and justice for all.” We’ll consider the state of our global village and how to put this principle into action. May 26 @ 9:15 & 10:30 a.m.
June 2 @ 9:15 & 10:30 a.m.
June 9 @ 9:15 & 10:30 a.m. In the annual celebration of our fellowship, we will welcome spring with a flower communion and recognize some of the outstanding contributions to our community this year, followed by a picnic! Please bring a flower to share. The 10:30 a.m. service is multigenerational.